Cheikh Dioum 75,9 kg (167,33 lb). This is probably the best what Germany´s boxing can offer in this time! 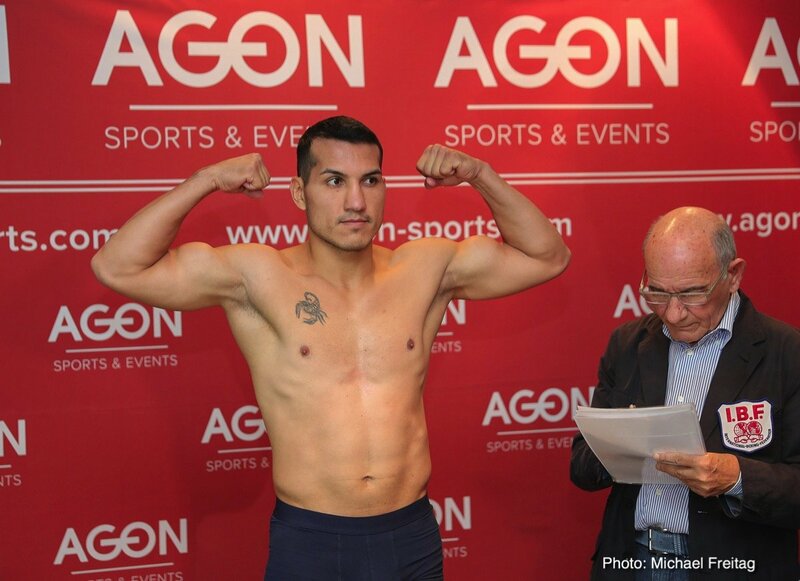 Former World Champions Golden Jack Culcay and Tyron Zeuge want to make the first step to win the title back. 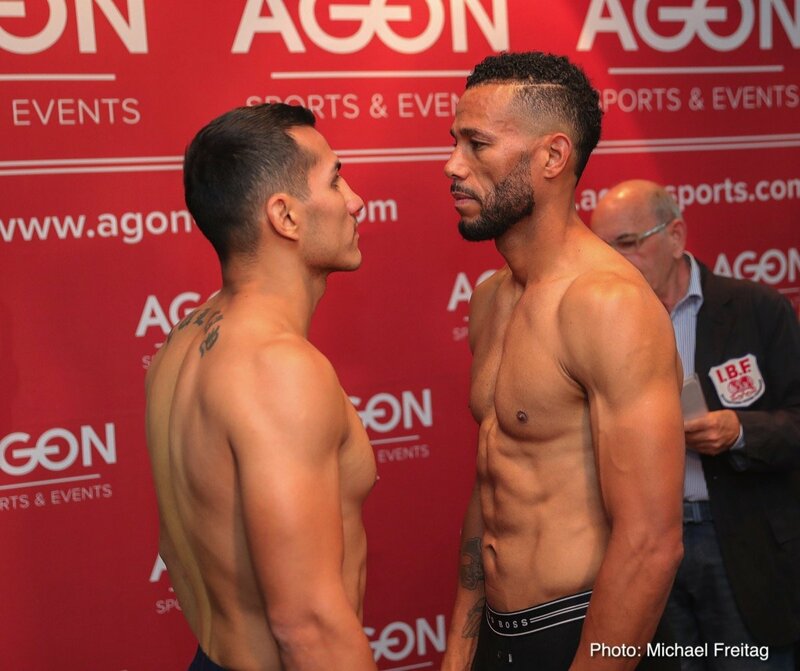 Both will go into the ring at the Fight Night of AGON Sports in the MBS Arena of Potsdam, Germany, at Saturday night. Today the fighters met photographers and journalists in a public training session in the AGON Gym near the famous Olympic Stadium in Berlin. And the interest was high, of course. Not only the fighters, their trainers are big names in international boxing, too. Jack Culcay´s coach is the former World Championship medalist and Olympic boxer Torsten Schmitz – he was the trainer of the Champions Robert Stieglitz and Regina Halmich. And the coach of Tyron Zeuge is former World Champion Jürgen Brähmer. The 39 years old Brähmer is still active and wants to fight again soon. Culcay will face Rafael Bejaran from the Dominican Republic in an IBF voluntary eliminator in the middleweight divison. 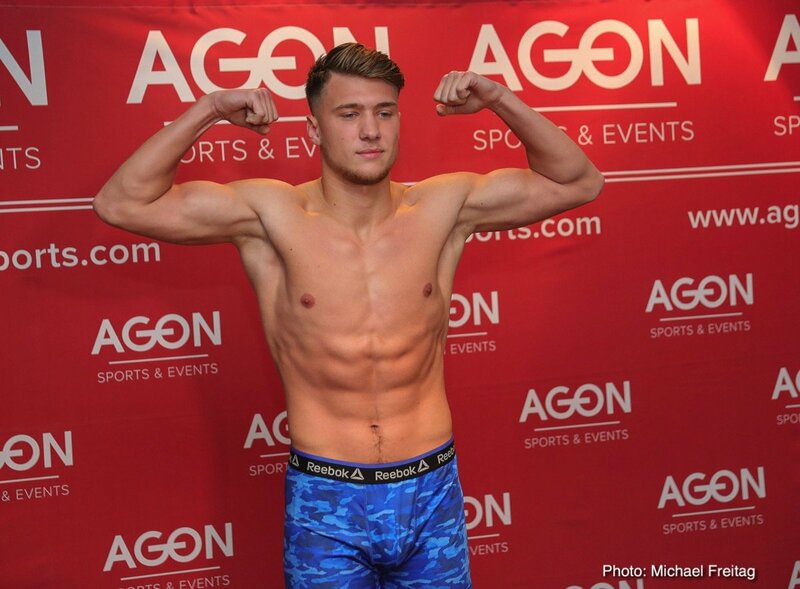 Zeuge has his first bout after the ending of the contract with Team Sauerland with Cheikh Dioum from Senegal in super-middleweight. 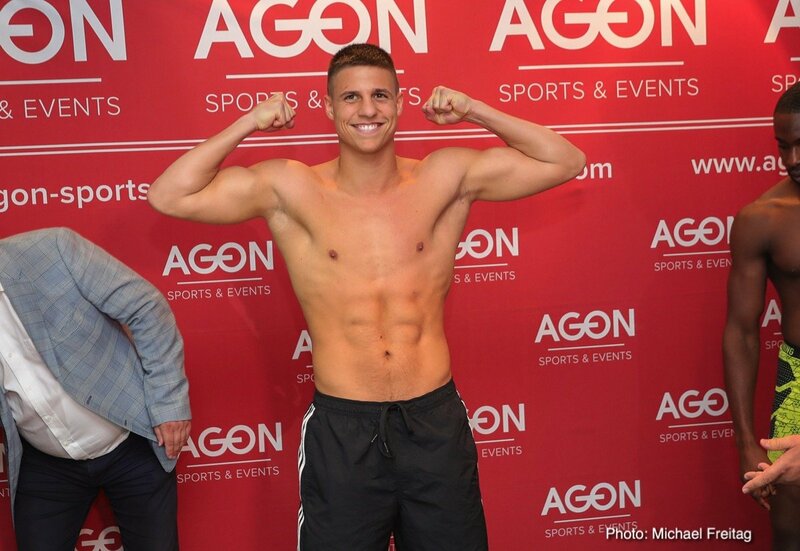 The AGON Fight Night will be broadcasted live in German TV from RBB, the capitals station. At the present time, no German has won the World Champion boxing title. 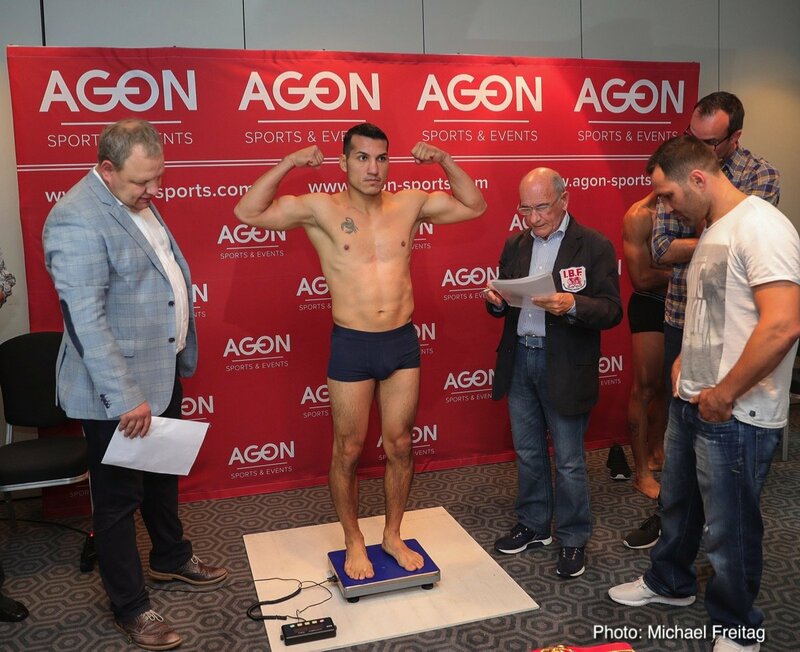 Middleweight boxer Jack Culcay from AGON-Team, Berlin, wants to change this state of art as soon as possible. On September 22, 2018 the former Champion boxes at Potsdam’s MBS-Arena against Rafael Bejaran from Hamburg. 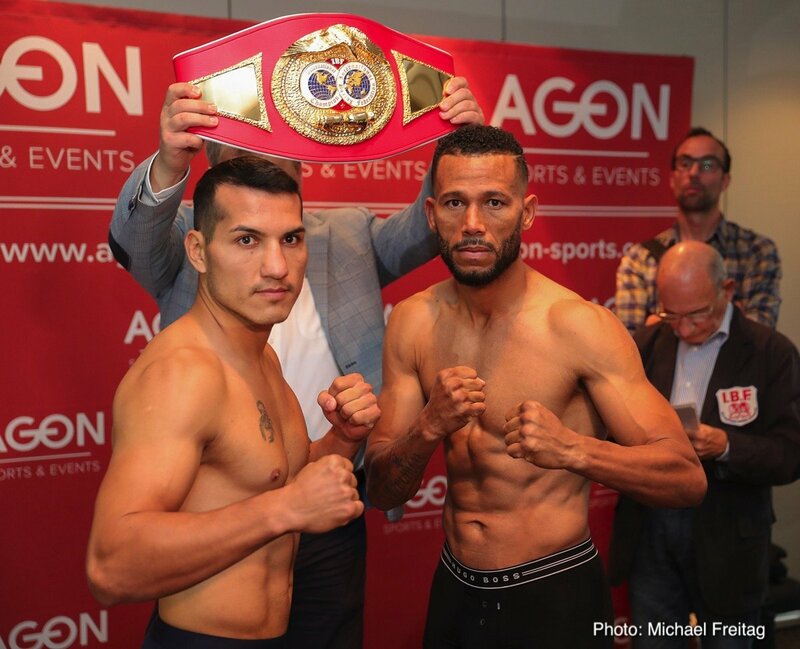 This fight is confirmed by the International Boxing Federation (IBF) as a qualifying round and must become the first step for 32-old Culcay on his way to the World Champion’s belt. The public Channel RBB (Rundfunk Berlin-Brandenburg, the capital´s station) provides the live-transmission. In the regional capital of the Federal Country of Brandenburg in April 2016, Culcay won vacant World Champion’s title of the World Boxing Association (WBA) in light middleweight. At MBS-Arena at the “Luftschiffhafen” (a former landing place for airships like the famous “Hindenburg”), he defeated Venezuelan Jean Carlos Prada in the 9th round. Training by Torsten Schmitz Jack Culcay (27 fights – 24 wins, 12 KO’s, 3 defeats) beat Adasat Rodriguez from Spain in his last fight in June in Leipzig and won the EU-title of European Box-Union (EBU). Next boxing news: If Floyd Mayweather Wants To Come Back, Again, Here’s The Man He Should Face: Canelo, At Middleweight!